The Caribbean islands of St Kitts and Nevis are not known around the world as party islands being as relaxed as they are, but there is still plenty to do during the evening and night for entertainment. The islands have some of the best traditional Caribbean music and in some areas DJ's and themed nights keep you occupied until early hours of the morning. Beach huts are located all along the beautiful beaches of the islands where tourist can sit and sip rum punch and watch the sun set and continue on into the night. Whether relaxed or in the party mood, St Kitts and Nevis will always offer something to keep you entertained! If you have visited St Kitts or Nevis and have a favorite place to party enjoy an evening of entertainment, we would love to know all about it. Drop us a line at info@coldwellbankerstkittsnevis.com and we will add your comments to our never ending list of entertainment and nightlife on St Kitts and Nevis. 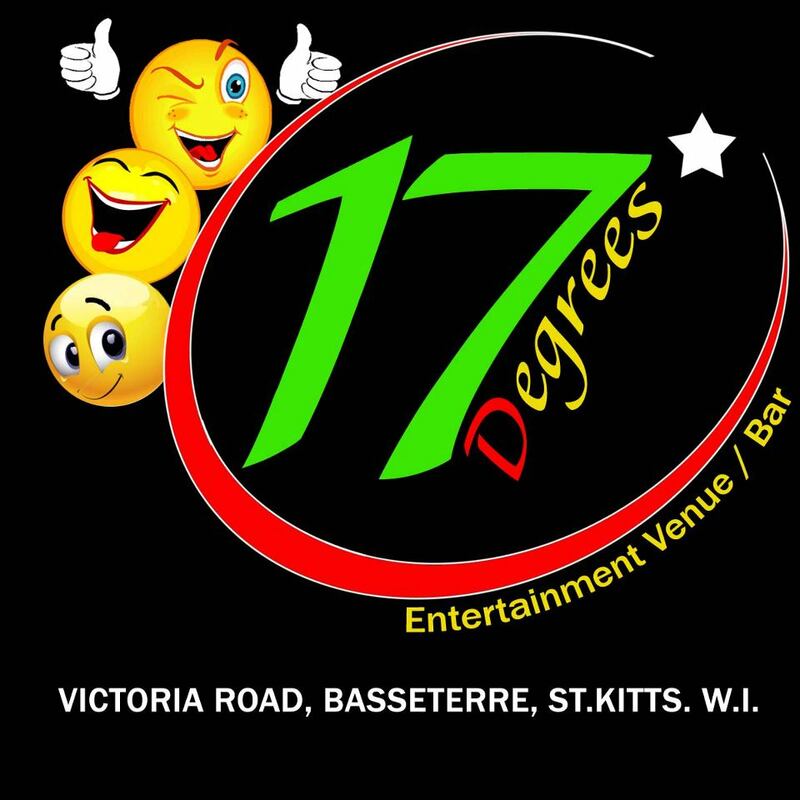 This popular club is situated within an old colonial style home and named after St Kitts geographic co-ordinates, crowds flock out onto the lawn to watch the live acts and djs perform. The club holds game nights, beauty pageants and fashion shows in addition to music events to dance the night away. This popular venue is famous for its Thursday night bonfire parties complete with fire eaters and live music, fun karaoke Saturdays and Sunday dinners featuring live bands. 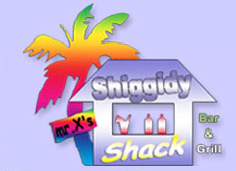 The shack is also a very popular place for locals to stop on the Friday night liming circuit of Frigate bars. 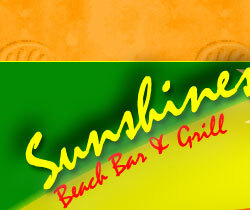 This bar is the most popular beach bar on the island and it is famous for its delicious rum punch ? 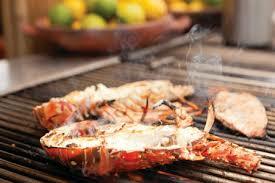 the killer bee and the best food on the island. A visit to Nevis would not be complete without stopping at sunshine and meeting the legend himself ? sunshine! The bar is open seven days a week for lunch, dinner, drinking and dancing and the menu includes barbeque lobster, fish, shrimp, chicken and ribs. This is actually the name of a fun and lively Friday-night-jump-up which is organized by two men from the local water department. Every Friday afternoon tents can be seen going up and grills being fired, guests can enjoy live music, games delicious barbecued chicken and ribs and ice cold beers. 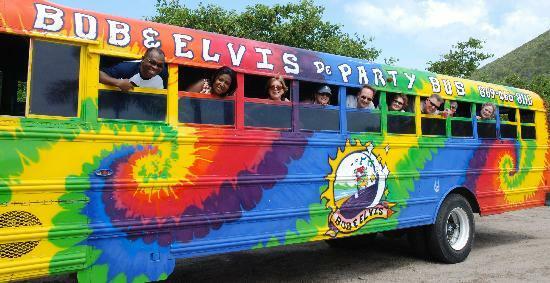 This psychedelically decorated bus transports raucous crowds around the islands four top liming spots, on board there is a bar and dj booth to make the travel between bars even more fun! This once in a lifetime tour runs every Wednesday and Friday and is the best way to get around local bars while enjoying the constant party on the bus.